As a happy snapper I am in full admiration of all these pictures, thank you all for posting them. Like most, for me the dogs are so special. 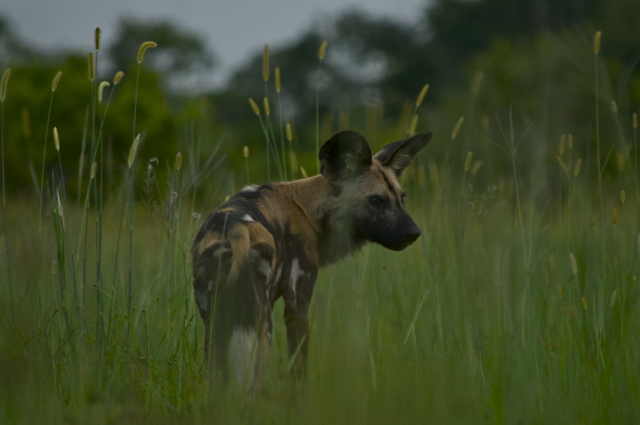 Kafue National Park in the rainy season is an exceptional place to see Wild Dog, and with the colours of that time of year, grass and rainbow in this case, it gives the whole place a very magical feel. Thanks - didn't know that. I was under the impression Kafue was inaccessible during the rainy months and all lodges closed? 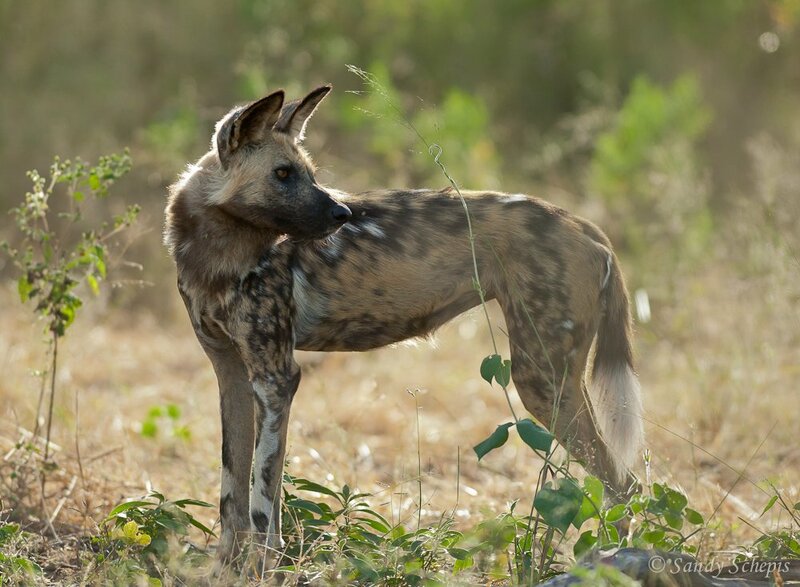 An unbelievable scene of Wild Dogs on a kill, and then taking on a brave hyena! Okay, my turn here. 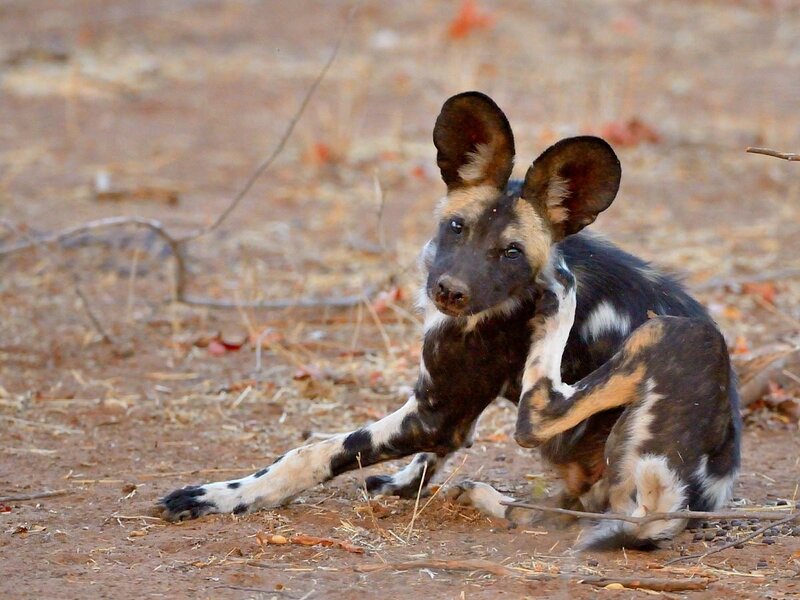 Before June 2012 I had a dismal portfolio of Wild Dog images. They were just avoiding me in Kruger, they avoided me in Savute and I only saw them once in Madikwe in late morning light in long grass, resulting in average photos at best. This changed in June 2012. How? I visited Mana Pools in Zimbabwe. More specifically, I spent 2 afternoons on my stomach in a sandy riverbed with a small pack, at times a mere 10m from the Alpha Male (he approached us, we had leopard-crawled to a position about 30m from them). It gave me a passion for these animals to be so close to them on foot and observe them intimately. I am happy with my new 5d MKIII. This shot was taken as it was almost dark @ ISO 3200!! John - so cute and love the caption! Great video! I like how you juxtaposed the interview footage with the footage of the dogs. Which camps in Botswana and Zambia is the footage from? Love this - it is so interesting to see th dog interaction; my lab won't play with any dogs. She knows humans carry the treats. This is my first post here so please be gentle!!!! I am fortunate to have made self-supported visits to Mana Pools most Octobers over the last 12 years. I really must try to visit some other areas / Parks (South Luangwa is high on my list) but Mana has spoiled me - I love the freedom the Park affords visitors, and having got used to walking (unarmed / unguided) in the bush the thought of being confined to a vehicle really doesn't appeal at all. Anyway, to the main point of my post....a few snaps from my visit in October 2012, all taken with a Canon 5D mkIII and a Canon EF100-400mm F/4.5-5.6 lens. It was a fairly chaotic scene, but here was practically no squabbling between the dogs. However I found it quite difficult to photograph from my perch on a fallen tree, with dogs here, there and everywhere. 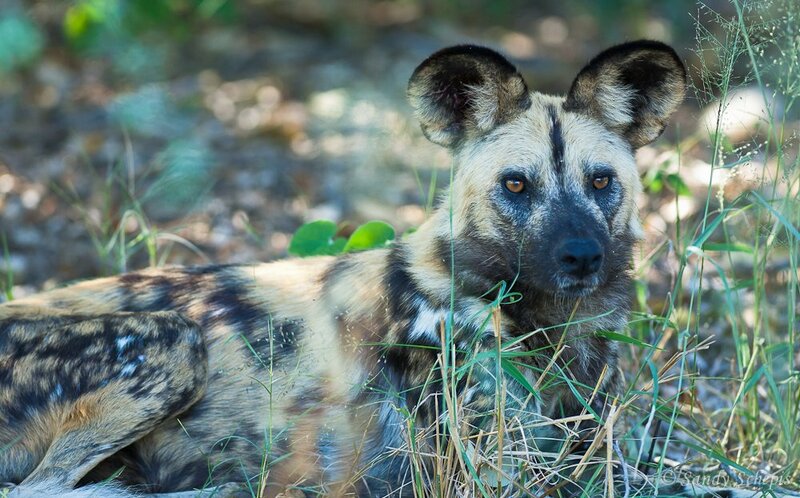 Of the African animals I have encountered Painted Dogs are my favourite - they generally just seem to accept people amoungst them so long as you are quiet and don't make any sudden moves. Wonder what happens if I pull on this? Hello! Lovely photos and that's a big pack. Do you know which one it is? Just to explain, it is thanks to Stokeygirl that I found may way to this fascinating site. I am reasonably certain that it is the Vundu pack. We see Painted Dog most years at Mana, but I was a little concerned early in this trip. Speaking to a guide we have got to know as we checked in at the parks office we were told there hadn't been any sightings for two weeks or so. We ended up seeing this pack on 5 of our 8 days visiting the park.